The 3 million gallon toxic waste water spill from the Gold King Mine into the Animas River in Colorado on August 5, 2015 has brought up many concerns. One not spilling into many people’s attention nearly enough is the evident importance waste water treatment gives our society. The unexpected threat to humans and the aquatic life around this river basin were highly coherent when the river’s once clear water turned to a muggy, yellow sludge. As toxic waste water rushed into the Animas river earlier this August, arsenic levels reached 300 times the normal level, lead levels reached 3,500 times the normal level, and other heavy metals, detrimental to the aquatic life, flowed into the river at an alarming rate. 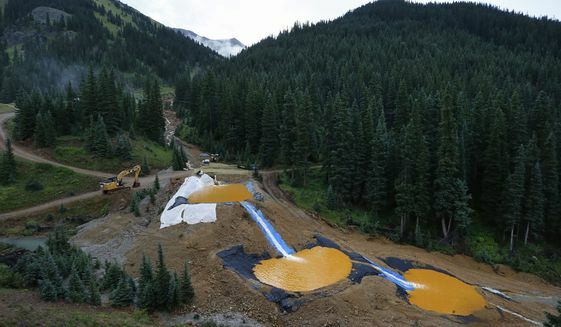 As EPA contractors started their cleanup operation on the abandoned Gold King Mine early this August, a “blowout” of wastewater stopped everyone in their tracks. Instead of a small area affected by acid mine drainage, an entire river, and eventually part of Lake Powell, was contaminated. That’s about 413 miles, or a three hour car ride, from the original spill release. Hundreds of miles of tributary, millions of gallons of water, entire states with thousands of homes, all effected because of the spill. The only thing to survive was the continuation of dead-zones, parts of a river system where wild life is unable to sustain life. In the case of the Animas River, dead zones are due to the disastrous influence of mining in the past. The scariest part? The Gold King Mine is only 1 of 22,000 other abandoned, untreated mines in the area. Cities and counties who depend on this river system for their drinking water, such as Durango, Colorado and La Plata County, Colorado, “issued a state of emergency declaration in response to the spill,” mentioned Steve Garrison and Joshua Kellogg in their article in the Daily Times paper from August 10th. The Navajo Nation did the same. Thanks to waste water treatment technology, the river water’s wastewater levels have nearly gone down to pre-spill toxicity levels. However, the health risks for both wildlife and humans are still very prevalent. The sediment from the Gold King Mine have only just settled to the bottom of the river, presenting the risk of the toxins coming out of hiding by simply stirring up the riverbed. With such persistence, toxins can be easily exposed to what little aquatic life has been able to survive in such harsh conditions. There have been concerns of it even getting back into the water supply. In an industry that involves the health and well-being of our water systems and, therefore, our society as a whole, there is no room for mistakes. It has been reported that the contractors on this case were given notice of the potential of a blowout a few times, according to plan releases of the operation. Precautions by the contractors are unknown to have been taken, however. Luckily there are experts out there that know how to efficiently and pristinely treat wastewater. August 24th, it was updated that about 559 gallons of water per minute are still spilling out of the mine. The difference now is that the water is being captured, treated and discharged into a tributary creek of Animas. Although prevention of the spill would have been the most beneficial, waste water treatment continues to be the superhero of toxic water cleanup.